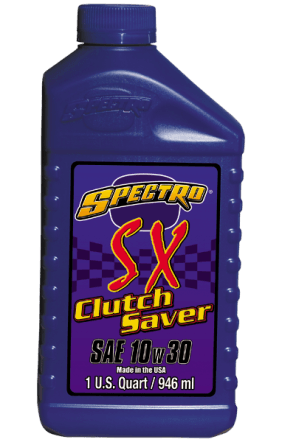 SX “Clutch Saver” is a super shear stable petroleum lubricant engineered to withstand punishment, especially the beating of 2nd and 3rd gear starts. Special polymers provide exceptional positive clutch engagement and temperature stability, eliminating clutch “drag” and “slipping”. Meets all known motorcycle manufacturers’ warrant requirements/recommendations. API SF/SG rated, meets SAE 10w30 viscosity specs, ideal for use in all two-stroke and four-stroke moto-cross machines.